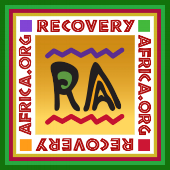 On Sunday March 12, 2017, Recovery Africa will be holding a forum on updating and documenting our approach to “12-step as related to medication assisted recovery”, particularly regarding our programs in Ghana. Please try to join us and share your thoughts on this and related topics. We will continue to focus on 12-step recovery but want to keep an open mind regarding other forms of recovery. The forum will take place from 1:30 to 4:00 p.m. at Our Lady of Lourdes Catholic Church, 7500 Pearl St. Bethesda, MD 20814. Church parking is available. The key resource people will be Dr. Al Mooney, medical director of Recovery Africa, Dr. Gerald Marti of Phoenix Health Center in Hagerstown and Patty McCarthy of Faces & Voices. Byron Merriweather, Dr. Eugene Dordoye and Edwin Ahadzie will be present. We will also be asking how Ghana could benefit from the U.S. experience and what the U.S. might learn from Ghana where the smoking of cigarettes, for example, is considered to be a relapse.